Offering an alluring bundle of luxury while maintaining efficiency, safety and style! With less than 30,000 miles on the odometer, this vehicle provides excellent value as a pre-owned model. 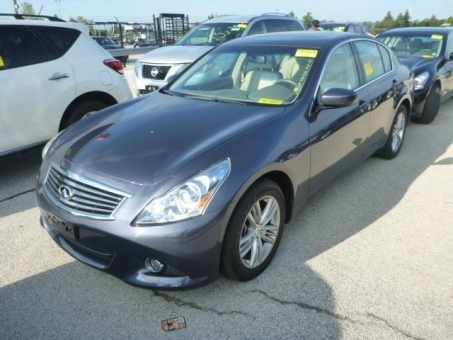 2012 Infiniti G37 pays attention to efficiency and practicality with the following features: front fog lights, telescoping steering wheel, and air conditioning. Smooth gearshifts are achieved thanks to the efficient 4 cylinder engine, and for added security, dynamic Stability Control supplements the drivetrain.